If we believe what we pray and we pray according to our belief, is it reasonable to imagine that at the hour of our death, or that of a loved one, Mary will remain silent? Is it reasonable to think that she will not intercede for every soul as it leaves the body? Is it even imaginable to think that she is far away from any of us? The idea that the Mother of God would ignore our prayer for the soul of a loved one and for our own is irrational. It is reasonable to feel the pain of loss that Mary felt watching her son die on the cross. Who can watch a son or daughter die and not feel as if the heart is being ripped out of her? “Many hearts will be revealed. And a sword will pierce your own soul” (Luke 2:35). The Immaculate Mother of God was not spared the pain of loss. 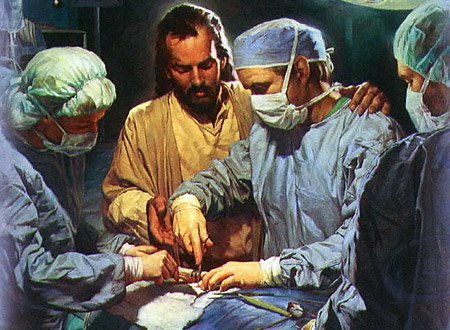 However, she chose to hurt and trust at the same time.“Behold the handmaid of the Lord; be it done to me according to thy word,” (Luke 1:38). The Sacred Scripture never says that the Blessed Virgin Mary didn’t suffer. “And seeing him, they wondered. And his mother said to him: Son, why hast thou done so to us? Behold your father and I have sought you with great anxiety” (Luke 2:48). Feeling concern and anxiety for a loved one does not have to conflict with the Faith. Suffering, for oneself or a loved one, is the most noble sign of our humanity. Only the man who reaching his full stature as a human being can suffer for another and trust that Christ will always respond to his mother’s intercession. “Then he went down with them and came to Nazareth, and was obedient to them” (Luke 2:51). And they filled them up to the brim. He said to them, ‘Now draw some out, and take it to the chief steward.’ So, they took it. When the steward tasted the water that had become wine, and did not know where it came from (though the servants who had drawn the water knew),” (John 2:3-9). With a single sentence, the Immaculate convinces her compassionate Son. It is important to remember that the “reception” at a Jewish wedding lasted an entire week. Mary intercedes when they have run out of wine. They had been drinking for a while, maybe more than a day. If the Immaculate can open the door to her son’s heart for people who were drinking, having fun, and probably not paying much attention to Him, we can rest in the certainty that she has the key to the Sacred Heart of Christ. No one who asks her to “pray for us sinners” will be denied her intercession. Our Lord Jesus Christ will always hear his mother’s prayers and do whatever is for the greater glory of his Father and the salvation of souls. Those who have not spoken to the Immaculate in a very long time (or never) can always begin today. She is the mother with the Immaculate Heart. She forgives! She understands human weakness. She has seen man’s lack of faith for centuries. And she has been a witness to man’s greatest acts of cruelty and injustice. Despite this, Mary allows us to take her into our very human homes, as sinful as they may be. She needed only the word from her Son to crush the head of the Serpent that haunts us all. From that moment forward, she remains in our home as Mother. “When Jesus saw his mother and the disciple whom he loved standing beside her, he said to his mother, ‘Woman, here is your son.’ Then he said to the disciple, ‘Here is your mother.’ And from that hour the disciple took her into his own home”(John 19:26-27). The Immaculate Mother whom we contemplate at the foot of the Cross on Good Friday, is our Sorrowful Mother. Her sorrow is caused by the sins that her Son must carry on his back and the penance that he must do purely out of love, not because he was guilty of any fault of his own. There is a difference between a sorrowful mother and a pitiful mother. The latter is one for whom we feel sorrow because she’s an imperfect and perhaps a mother who has not owned her maternity. Mary, on the other hand, is the mother who feels the pain of sin inflicted on her innocent Son. She feels the weight of man’s sinfulness. She experiences great sorrow, not for herself, but for the sinner redeemed by the suffering servant that she brought into the world. There is no room in her Immaculate Heart for anything else than love, crushed by sorrow but never extinguished. This makes it possible for her to enter our homes as Mother and mediate for us the graces that her Son earned through His most sorrowful Passion, till we reach that perfection of charity which is the perfect fulfillment of Our Lady’s one and only commandment: “Do whatever He tells you”. Let us make this our meditation as the Holy Week begins. and those recommended to you“. As we approach the inauguration of a new presidency and the anniversary of Roe vs Wade, I assume that many of our friends expect the Franciscans of Life to say something wise and uplifting. Try as I did, I was unable to come up with anything wise to say. Perhaps is the fact that I fell today and lacerated my forehead. Thank God that my cranium was not currently occupied. In any case, I can’t come up with some wise and profound comment to make. So, I’ll let my simple country logic do the talking. Roe vs Wade must never be forgotten, not only because it made abortion a constitutional right in our country, but it did much more. It stripped the preborn human being of the right to be born. Roe vs Wade was one of the most selfish acts that the American people have ever perpetrated on its citizens. Our Founding Fathers rebelled against a monarchy and parliament that was tyrannical, a king and government that had no respect for the basic human rights of its citizens on the western side of the Atlantic. As far as the English crown was concerned, the colonists and their descendants were to be silenced when it came to matters that affected their lives, the lives of their families and the future of the kingdom. We must say “kingdom”, because on July 3, 1776 there was no United States. There was simply the American colonies and territories of the English Kingdom. But our forefathers changed all that. They fought and many gave their lives for the right to live, the right to have a voice about their lives, and the right to choose their future. Hilary Clinton once said that the unborn CHILD has no constitutional rights. The issue on the table is not whether the being in the womb is a person, human being, child or other. The question has been settled. The being in the womb is a CHILD. The laws of nature dictate that the child of two human beings cannot be a chimpanzee. He must be a human being, regardless of his parents’ faults and virtues. Yet, this human being, who lives in our midst, is denied the right to be born. We have dared to do the unimaginable. We have dared betray the memory of those who fought for our right to life, liberty and the pursuit of happiness. We betrayed their dream of a nation where people were given the right to live according to the graces endowed by their Creator, as Thomas Jefferson so eloquently wrote. We have misrepresented the mind of the Founding Fathers, the Declaration of Independence and the Constitution. In other words, we have hijacked the American dream. Roe vs Wade limits the right to life, freedom and the pursuit of happiness to those who have the power and cold-heartedness to terminate the life of one who is weaker and defenseless. Video by youtube user on ultrasound of their 8-week baby. and see description for link to video of 1st year birthday. Happy New Year to all our relatives, friends and benefactors. Christmas week was a very active one for us. On December 23rd, Brother Jay and Brother Bernardo flew into Virginia to spend Christmas with Katherine Marie Therese, Brother Jay’s brand new granddaughter. It was her first Christmas. But there was much more to it. We’ll get to that shortly. December 24th family came in from Pensacola, FL, Pembroke Pines, FL, and Bloomington, IL. The house was filled with joy, conversation, a lot of picture taking and a fantastic dinner. Daniel, Brother Jay’s son-in-law, cooked the main course, a roast pork shoulder. No one knew Daniel was such a great cook. Our waistlines, the next day, proved that Daniel cooks very well. Let’s put it this way, on the trip home, Brother jay could not move once he opened the tray-table in front of him on the airplane. To be perfectly transparent, if one can be transparent with such girth, the airline industry is determined to influence relationships between people who don’t know each other. The seats are so close to each other that no one with a waist over 40” can get to the window seat. There is no way to squeeze in between the three seats in your row and those in front of you, unless you breath and hold it as you navigate in a tight space. If you try to do this after eating several holiday meals, you can forget it. You may as well pay a little extra for a seat in the bulkhead section, preferably a loveseat. But let’s get back to Christmas Eve. Unfortunately, we were unable to attend Midnight Mass, because the local parish did not have one this year. The closest Midnight Mass was about thirty minutes away, which is a rough trip for a two-month old little girl, in the middle of a cold December night. Since we couldn’t travel that far, we sat around and talked, teased each other and I believe that one or two of us may have dozed off for a few minutes, after such a large and delicious meal. Earlier that day, Daniel’s mother and Brother Jay engaged in a conversation about a liquor that the Carthusian hermits have been making for hundreds of years. The more they talked about it, the more enthusiastic they became about finding it. Thank God for Google. The first problem was identifying the name of the liquor. Brother Jay is a “master googler”. We found the name of the liquor, Chartreux, named after the Charterhouse where the hermits have lived for about 1,000 years. The next step was to find out where we could purchase a bottle of it to go with the Christmas meal. Once again, Google came to the rescue and the liquor was found and purchased. Did I mention that it smells and tastes like cou gh medicine? Originally, the Carthusian hermits made this liquor for medicinal purposes. It’s no surprise that it smells like cough medicine without the artificial cherry flavor. Let’s put it this way. The stuff smells and tastes so awful that an ounce is about all you can drink in one evening. I don’t mean one sitting. I mean a full evening. The positive here is that you’re literally indulging in Catholic spirits that have been around for about 800 years. If you’re looking to make contact with your Catholic roots and traditions, here is a drink that you can use as an aperitif or as a cure for any disease imaginable. Opening the gifts under the Christmas tree was a beautiful experience. You have picture some 15 people in a small living room with room for a sofa, a chair and a Christmas tree. There is no more floor space. The little floor space that used to be available is now occupied by baby Katherine’s play mat, chair and some other contraptions. If you’re not careful, you can trip on a piece of infant equipment and find yourself sitting in an infant carrier. In any case the gifts were distributed and opened. The beauty of the event was that there were no “over the top” gifts, no electronic gadgets (other than a book light for Brother Jay) and there were many books given as gifts. Each gift was purchased with the intention of enriching the life of the next person, as the infant in the manger enriched the lives of the shepherds and peasants in the surrounding pastures. These are true Christmas gifts. It’s not a show of opulence; nor is it an attempt to impress the recipient with one’s FANTASTIC present. It was a sharing of gifts that have meaning that we share and that enrich the life of the recipient, because the giver has been enriched by it first. You’re not just sharing a thing, you passing on a positive experience in your life. On December 25th, everyone met up at the local parish for Christmas Day mass. It was a great experience. We were all filled with the same awe as the shepherds in Bethlehem the morning of Our Lord’s birth. That’s one of the wonderful things that happens when you have a family where everyone is a practicing Catholic and well catechized. The mystery of the Eucharist, especially on a solemnity such as Christmas, moves you as an individual and as a family. In this way, the entire family travels down the path to redemption following Mary, the star that leads to Incarnate Son of the Father. Then came December 27th. This was the day that Baby Katherine was to be baptized, her godparents being her paternal uncle and auntie. This time, family members came not only from the cities that we mentioned above, but more family arrived. Some drove all the way from Miami. Others took a five-hour bus ride to be there. There were cousins who live in New York and other relatives from Virginia, and there were the brothers, the Franciscans of Life. There were also childhood friends who are now married and parents themselves. They took the time off from work to participate in the baptism. Three generations of family from her father’s side and three from her mother’s side, plus long-term friends, were present to welcome Katherine into the Church and to formally name her, Katherine Marie Therese. She is now a Catholic along with her family and friends. For this we are grateful to God. Passing down the faith to the next generation is always a memorable event when those present are more than spectators. They are men and women of faith opening the door for a loved one to enter into a deeper communion with the family and with Christ, through the waters of Baptism. It was finally time to go home. But Brother Bernardo couldn’t find his wristwatch. He decided to take a look behind the sleeper sofa, not knowing that the sofa is alive. The bed started to close and swallow him up. Thankfully, the sofa spit him out and the brothers returned to the Motherhouse, exhausted, elated, enriched and in one piece. It’s going to be a great year. The best part is that it’s not an election year. NO MORE CAMPAIGNS!!!!! YEY!!!!! On August 14, we celebrate the feast of St. Maximilian Maria Kolbe, patron of the Franciscans of Life, and the 75th anniversary of his martyrdom. The next day, August 15th, is the solemnity of the Assumption, also known as the Feast of the Dormition of Mary in the Eastern Churches. For the moment, let’s put the Assumption on the side. By the end of this article, we’ll see how it all fits together. Let’s begin with Maximilian Kolbe. We must get past the end of the story in order to understand any saint and his or her journey into the mind of God. All too often we look at the finished product, who the person was at the time of death or in the later years of their life, completely missing a life journey that should inspire us to do better. Such is the case with St. Maximilian Kolbe. When you mention his name, everyone remembers him as the priest who traded places with a condemned man Auschwitz and whom the Nazis starved and killed by lethal injection. This heroic act of faith and charity did not spring up on the spur of the moment. There was a lifetime that led to Maximilian’s ultimate sacrifice where he unites his life and death to that of the Crucified Christ to give man a chance at new life. According to his parents’ and brother’s memories, Maximilian was typical pre-adolescent who had the ability to get under people’s skin like most kids in that age group. His mother often cried out in despair, “What’s to become of you Raymond? Note: He was born Raymond Kolbe. But there was something special about this apparent little magnet for trouble. His parents had taught him to pray. As a child, he knelt before Our Lady and asked her, “What is to become of me?” Our Lady gave him a choice between a crown of martyrdom and a crown of purity. Raymond chose both. Here is a learning moment for those who are parents. As important as it is to reign in your restless children and protect them from getting into trouble, as seemed to be Mrs Kolbe’s daily task with Raymond, it is imperative that we never forget that even those little mischievous creatures that we love and call children were given to us to form so that they can return to God. The school that any child must attend is the school of prayer. Raymond, despite the grief that he caused his mother, learned to go to prayer when he didn’t know where else to turn. This is not something that comes built into a child. This is the work of actual grace given by God to the parent, which the parent passes on to the child as he promised at the child’s baptism. In other words, Raymond prayed because his parents had fulfilled the covenant they made when they baptized him, “to bring him up in the faith.” A child who is brought up in the faith may be derailed, but can find his way back more easily than those who have not grown up in the Catholic faith. We should pay special attention to those parents who raise saints. Often, they serve as good models for parenting. 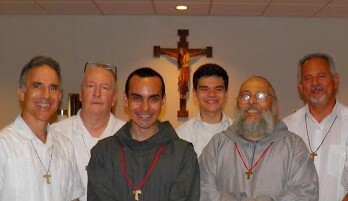 At the age of 15, Raymond decided to join the Franciscans. He enters that branch of the Franciscans known as the Friars Minor Conventual or simply the Conventual Franciscans. Upon entering the novitiate, he is invested in the Franciscan habit and given the name Maximilian Maria. From that point until his death he will be known as Friar or Brother Maximilian Maria. There is much to be learned here. First for youth – St. John Paul told the youth of the world, “Do not be afraid of Jesus Christ.” When Our Lady offered Raymond a choice between martyrdom and purity, he chose both. We think of this story and we swoon over this wonderful little boy who was so pious and so holy. We completely miss what God wants to teach us. Those who struggle, as did Raymond, are also called to a life of virtue and sacrifice. Prefabricated saints don’t need to practice heroic virtue or make heroic sacrifices. Sinners do. Raymond admitted that he was a sinner. He also trusted Christ. He was not afraid of Him. If Christ used his Immaculate Mother to guide Raymond to Himself, Raymond was willing to take that step into the unknown and follow her lead. 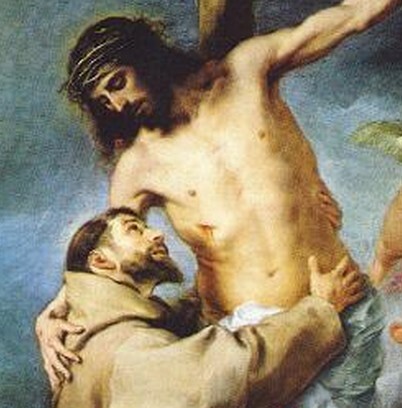 He didn’t become a Franciscan Friar because this was what he wanted to do. He may have wished to be a friar. But he examined his attraction to the Franciscan life in light of the call that Christ made to him through the Immaculate. Raymond entered the Franciscans because the Immaculate said to him, “Do whatever he tells you.” She promised to be by his side along the journey. There was no reason to fear Christ, no reason to fear embracing a life of uncertainty, sacrifice, long days and short nights, penances and many humiliations. Maximilian teaches us that Christ calls us down paths that he has paved specially for each of us. Christ never calls you where you cannot walk. The question for the young person should be, “What is to become of me, Lord?” This was Raymond Kolbe’s question and the Immaculate responded, “Do whatever he tells you.” Life is not about what I want to do, but about God’s plan for me. Second for parents: The Kolbe parents were committed to raising their children in the Catholic faith, as they had promised at their baptism. They were also conscious that their children were not their special project, but they were a temporary gift from God that they would have to return when God asked. However, they had no idea what God would ask of their children, when or how. They remained open to the God of surprises rather than planning out their children’s lives in advance and trying to steer them into careers and marriages without consulting God’s plan for them. They educated their children in the faith, provided the academic education available to them and offered them guidance along the way. But they never owned their children. Their children belonged to God. When Christ called Raymond to become Brother Maximilian, it may have not been what Mr and Mrs Kolbe expected or planned, but they trusted. If this was truly the voice of God calling their son, he would be safe and they could offer him no better assurance of his happiness and salvation. If it was simply an illusion of youth, God would open their son’s eyes to the folly of his choice in life. Again, they trusted. The lesson to be learned is that even when we are unsure what God wants from our children, if the choice is not a sinful one or a danger to to self or others, we can stand back and let the Immaculate guide. She can only guide our children to her Son. Her GPS is locked on Christ as the compass is locked on the North Pole. There is nothing to fear and much to be gained. This year, during the feast of St. Maximilian Kolbe, let us focus less on the end product, the martyr and more on the boy, the man and his parents. Let us learn to follow the guidance of the Immaculate and to trust her Son as they did. When we commit to following the guidance of the Immaculate, which leads to her son, then the Assumption needs very little if any explanation. She who leads others to her Son was also called to follow Him in body and soul and will lead all men to the same end. 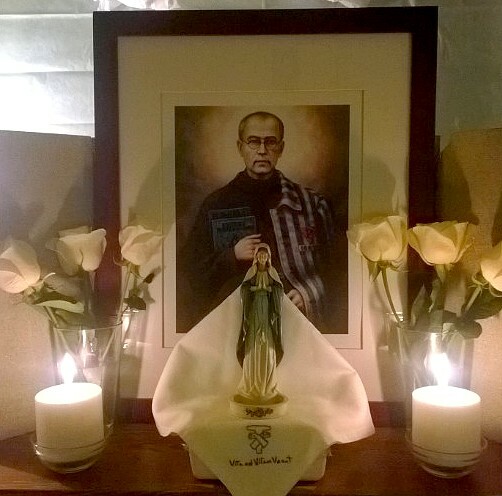 Shrine to the Immaculate Conception and St. Maximilian Kolbe at the FFV Motherhouse. 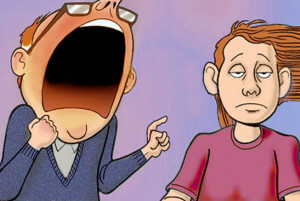 Have you ever listened to someone when they are angry and ranting? If you have never had such an experience, you’re either deaf or you live under a rock. Rants are part of the human condition. I would say that rants are part of human communication. They allow the listener a peek into the heart and soul of the other, the person who is ranting. You see, when people rant, they are only partially in control. Very often the emotions move faster than the rules that govern social discourse; the result is that you reveal yourself in not so politically correct ways, but probably in the most humble way possible. Humility is the exercise of truth governed by trust. You trust that the person who sees and hears you as you truly are also loves you as you are, not as he or she imagines or desires you to be. Having been at the receiving end of rants many times in my life, rants by family members, colleagues, superiors, and even brothers in my own community I have learned to appreciate them rather than build a wall between the frustrated ‘ranter’ and me. OK, I confess. I just made up a word: ranter. Now get past your linguistic indignation and stay with me. While I’m sitting there listening to my brother rant on about something, it can be the flavor of ice cream, I’m aware that rants don’t have to be rational. But while I’m apparently listening to the rant, the truth is that I’ve learned to close my ears off to the rant. I open my eyes to other things and listen to those instead. It has often been a humbling experience. Allow me to explain. My brother is ranting because something is bothering him. Why else rant? This does not mean that his annoyance is justified. Sometimes our annoyance is either irrational or exaggerated. But that’s not important and this is where we go wrong. We begin to look for the rationality in the other person’s discourse and being unable to find it, we return rant with rant. On the other hand, observing Jesus in the Gospels and St. Francis of Assisi in his dealings with the first generation Franciscans, I noticed that they look at the heart of the ranter and listen to his inner voice. Christ, very often, tells the Pharisees that they are closed minded, hard-hearted, proud and ignorant. But he never tells them that they are irrational, exaggerating, rude, or obnoxious. That’s not to say that they were not. 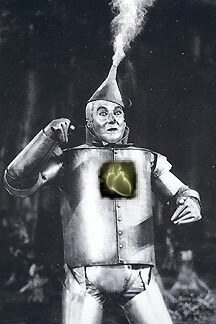 It just means that Christ finds the truth about a man in his heart, not in his emotional outbursts. When he looked into the hearts of some of the Pharisees, he saw some serious character flaws. At the same time, when he looked into the heart of some other ranters and whiners, he saw an innocence, ignorance, or uncertainty that kept him coming back to them and inspired him to call his apostles, “Friends”. I noticed the same behavior in our holy father St. Francis when dealing with the early brothers. While one group ranted about the rule being too impractical and another group ranted about the first group being too liberal, Francis never returned a rant with a rant. He never lost his cool. He never told them to go away. He politely listened and said what he felt needed to be said and went on his way. Through the years I’ve contemplated how Jesus and Francis responded to rants. I’ve integrated these observations along my parents’ style of communication; I’ve come to the conclusion that a rant can be like heart surgery . . . usually a great discomfort, but lifesaving. Recently, one of my brothers was ranting at me (the reason is irrelevant and no, I did not kill the cat…). As he went on and on, I heard what he was not saying. He was hurt by something. I had failed to respond in the manner that he felt I should. Therefore, he was hurt by my behavior, because I came across as indifferent to something important to him. While we all claim that we are not concerned with what the world thinks, we all know this is not true. We care very much, especially those people with him we share the world the closest. As I thought of this, I realized that had it been someone else who ignored that which was important to the brother, it may have annoyed him or even made him angry, but it would not have hurt. What I was listening to was not a rant. The rant is the noise made by pain. Before we go on to think that we must yield to everyone who rants, out of pity for their pain, let’s clarify something. Some people are in pain because their expectations are unreasonable or even irrational. Others are in pain because they never bothered to share their expectations, concerns, fears and loves with the other person. Suddenly, something goes wrong and they explode, leaving the other person feeling confused or even angry in return. The point is that when someone rants at you, try to see his heart and listen to his pain. Then you can decide for yourself whether he is being reasonable or not. In my particular case, during my last encounter with a rant, what I saw was a wounded heart, because I had failed to do something that would have validated my brother. As he ranted, I examined my conscience and realized that I had failed in spiritual friendship. I know this mean intimately. I should have responded to a sensibility of which I am well aware. I also heard, “I love you,” under his rant. “If I didn’t love you, I could care less how you respond to my feelings.” To me, there is nothing more humbling than being loved. The next time that someone rants at you, try to SEE what’s in the heart and HEAR the emotion communicated by the soul. 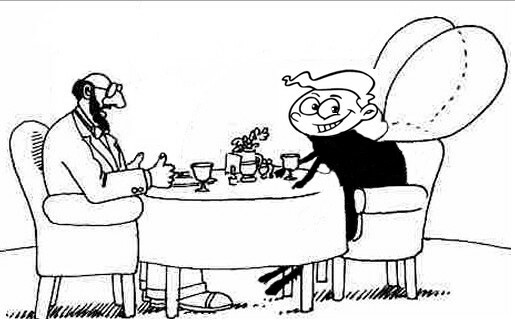 You may find that the person ranting at you is your best friend, not a pesky fly. I realize that it’s a little late to write Mother’s Day messages. In my case, it may be a little late to write a eulogy for my mom who died 15 years ago. Nonetheless, there is something that I would like to share with all of you who are parents and those who will be parents. When a parent approaches the Lord for the final judgement, the most important question that he must face is whether or not he fulfilled his duty as a Christian and passed on the faith to his children. Passing on the faith is more involved than sending kids to weekly CCD and putting them through the drills for First Confession, First Holy Communion and Confirmation. The sacraments are not graduation ceremonies. The sacraments are part of a journey. This is where my mother comes into my spiritual picture. Whatever her faults, were many things that my mom did well. But the one thing that she did with outstanding fidelity, love, courage and concern was to hand down the faith. From the moment we were born we were incorporated into the faith community. I say incorporated to mean that we didn’t just get dragged down to the church to be baptized or the temple to be blessed and “Goodbye”. There was much more. Faith was part of our domestic culture. I remember that the first picture book that I ever read was the story of Moses. From there, I read every other story in the bible. Faith was part of our recreation, because bedtime reading was a ritual and a fun time for me. Religious symbols were present in every room in our house. I was taught to pay attention to them. I remember my mother insisting that I bow my head each time I passed a crucifix that was in the entry foyer. Bowing to the crucifix and altar in church were not new to me. Morning, evening and night prayers were part of our family schedule. We prayed before going to school. When I was older, I prayed the Holy Rosary with my mom every day at 7PM. I have no idea why it had to be at 7PM. I can tell you this. I have no idea what was on TV at 7PM. That was time for evening prayer. Then there were night prayers that were said at bedtime. The very first prayer that I learned to say was the Lord’s Prayer. Because I grew up in a bilingual home, my mother made sure that I could pray it in two languages. After that, other prayers were added, including prayers at the table. My mother taught us Judeo-Christian morality without proselytizing and without nagging. I would come home and tell her about something I saw at school or on the street. My mother would stop to listen. If the action was good, she explained how I should imitate it, because it pleased God. If the action was bad, she explained the importance of avoiding it, because it was a sin and sin could land you in hell. My mom was not afraid of words like “sin” and “hell”. Despite her use of those terms, I don’t suffer from PTSD. If anything, I suffer from a guilty conscience when I mess up. Not to drag this on too long, which I already have, when I was about 11 we had a fire that destroyed a good portion of our home. It took several months to rebuild, paint and do whatever else they do when they rescue a house. How would I know? I was only 11. I’ll never forget standing outside at 3:00 AM on a very cold March morning, in my PJs and a blanket, watching flames come out of one of the upstairs windows. When the fire was finally out, I asked my mother, “What are we going to do?” My mom was very quiet for a moment. Then she said, “I have no idea. Let’s not worry about that now. Let’s find a warm place to sleep. God always has a plan and he will tell us what to do when the time is right.” This was a belief that she instilled in us from childhood. “God has a plan.” And “Only God knows.” We were always assured that Providence was taking care of us. Like any good Judeo-Christian, we worshipped every weekend and on holy days as well. There was no such thing as sleeping in and not going to Church until you were old enough to pay your own bills. The best thing that I learned from my mother was love of God and love of neighbor. I saw my mom take in kids whose parents could not care for them and they would live with us until the parents were ready to take them home. One child lived with us about three months. I saw my mother stop inside the church on her way home to visit the Blessed Sacrament. I was not asked if I wanted to come in. I just naturally followed and knelt in front of the tabernacle. There was no doubt that Christ lived in that little box. There was no excuse for driving or walking by the church and not stopping to say hello to its sovereign resident. Remembering these things, I believe that at the moment of her death, whatever faults my mother had were outshined by her perseveration when it came to handing down the faith to her children. This is the first and most important vocation of parenting. The brothers have b een following the development of a bill in Utah that requires anesthesia for any ‘fetus’ 20 weeks or older, before an abortion can take place. Let’s get this right. According to these legislators and their medical advisers, the child in the womb, whom they choose to call by his developmental stage, fetus, instead of human being or child, . . . this child feels pain when being killed during a ‘late term’ abortion. The merciful thing to do is to dull the child’s brain so that he feels no pain as he is being killed. If legislators and healthcare professionals believe that the fetus feels pain, then they know that it is very much alive and very much like any other child, just physically immature. Physical immaturity has never been a criterion for killing someone who has done no wrong to anyone, nor threatens anyone. The weak argument ‘the health of the mother’ does not justify killing a child. If the mother’s life is in danger, it is not the child in the womb who has hurt her or made her sick. She is ill and in danger because of some biological problem that may have surfaced during the pregnancy or was present before the pregnancy. The mother is not under attack by the child. Chucky is a fictitious and probably diabolical character. Pregnant women do not carry demonic little boys or girls in their womb. Therefore, the idea that an abortion, especially a late term abortion, may be executed after the 20th week of pregnancy if the life of the mother is in danger is not merciful to the mother or the child. The child is not the cause of the danger. The medical problem does not necessarily go away once you kill the child. You may find yourself having to kill every child the woman conceives, unless the medical problem is addressed and remedied. The other option is sterilization or celibacy to avoid future pregnancies. The very idea that we can kill a child in her mother’s womb, when she is old enough to survive outside the womb, as an act of mercy toward the mother is crazy. To compound the insanity, this group in Utah has agreed to extend mercy to the little girl by passing a law that requires that the abortionist anesthetize the child before killing her. This kind of mercy defies all logic. It defies human rights, the right to be born. It defies the natural end of medical care, “Do no harm.” It defies the advancements that we have made in technology and medicine that gives a little girl a fighting chance to live and would protect the life of a mother in danger. Physicians can induce labor at 22 weeks of pregnancy or they can resort to surgically removing the baby from the womb and provide an artificial environment for her to thrive. We have the technology. If universities and government spent less money on technology to spy on people and medical schools spent less money testing how to manipulate a human being’s genetic map, to please the parent who wants a little boy rather than a little girl, and invest money and time in artificial environments and other life preserving technology, we would not be having this discussion. We would simply do the second best thing to natural labor, remove the little boy from his mother’s womb and place him in an environment where he can mature. Instead, we bastardize the word ‘mercy’ for the mother whose life is in danger and for the baby about to be executed by numbing an infant in order to kill it painlessly. Disclaimer: I take full responsibility for the content of this post. None of the brothers contributed to it, nor did they know that I was going to write it. Under what authority . . . ? I will never forget what a 10th grade student taught me a long time ago. I was teaching social studies in a high school. Mind you, I’m not a sociologist or social scientist. Our social studies teacher was on maternity leave and I was elected to cover for her. That being said, the lesson was on the United Nations’ declaration on human rights. As we were going through the highlights of the document, Chris asked me a very serious question. I have never forgotten that question or that lesson. Today, thousands of people prepare to march for life in many cities in the country, the largest march being in Washington, DC, despite the horrible weather. Why are these people willing to suffer freezing temperatures, numb fingers and toes and 12 inches of snow and ice? The answer is simple. They believe in the right to be born. It is true that many attend the march for life in protest of abortion. However, there is more to this issue. We must put abortion in context. The medical community refers to abortion as the “termination of pregnancy.” It’s actually a very accurate statement. Many people prefer to call it murder, holocaust, eugenics, and many other terms. None of these are wrong. Nonetheless, the principle behind abortion is flawed, not only because the procedure takes the life of a vulnerable human being. It is flawed because the right to terminate a pregnancy presumes that society can deny any human being the right to be born. Birth is not possible, if you terminate a pregnancy. This puts us on a very slippery slope. If human beings can lose the right to be born, what is there to say that we can’t lose the right to remain alive? Why are we crying over the extermination of Syrians, other groups in Eastern Europe, the Middle East and Africa? Why doesn’t it follow that a society with the authority to withdraw someone’s right to be born can deny the right to stay alive after the fact? The answer has to do with vision. We can see the carnage in the Middle East, Africa and parts of Eastern Europe. We don’t see the carnage behind the doors of an abortion mill. For many people, a crime against human life exists only when the human being is perceptible. When you don’t see the human being, the crime ceases to be. Therefore we do two things in contemporary society. 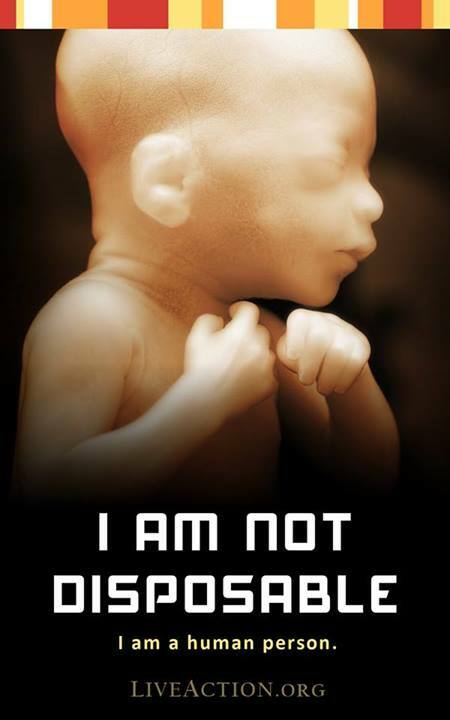 First, we look at the fetus and we fail to see a human being who is a real person. We only see tissue and cells, because that’s what we want to see. Second, we look at a fetus who is over 30 weeks old and we see what “looks like” a baby. It only looks like a baby. It’s not a baby, because we fail to see the baby. To understand abortion in context, we must keep in mind that human beings often fail to see what they don’t want to see. It’s called selective blindness. They convince others that the thing they cannot see does not really exist. The baby that we cannot see is not really there. It’s just a “fetus” or tissue. When I was growing up, they called this “turning a blind eye.” Today, some people call it “reality”. ISIS is murderous, because it kills people whom we can see. We cannot deny their existence, as much as we would like to ignore them. We have to call such barbaric acts what they are, the murder of innocent people. In our distorted way of thinking, abortion is not murderous, because no one visible to us is being killed. At the end of the day, what are we saying about choice and abortion? It looks like we’re telling ourselves and our neighbors that man decides who has the right to live. Such a decision depends on the individual’s perception. If he does not see a human being, terminating a pregnancy is not murder. The problem with this concept, besides the attack on innocent life, is that every individual can see whatever he or she wants to see and be blind to whatever he or she does not want to see. The right to be born becomes subjective, no longer an absolute. The right to be born is determined by the subject who has the power to terminate a vulnerable life. . . the power to see only what he wants to see. We must ask ourselves this question as we remember Roe vs Wade in 2016. 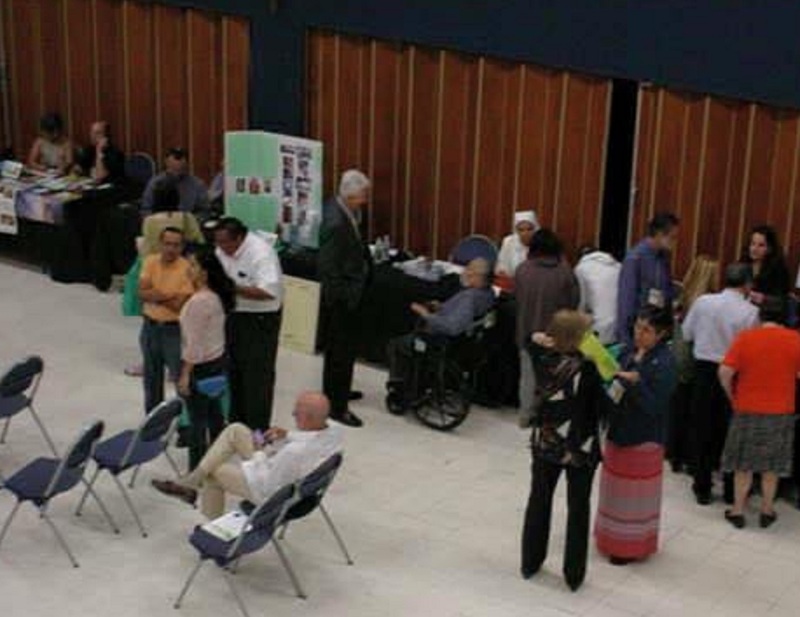 On Saturday, November 7, the Franciscans of Life attended the Second Statewide Respect Life Hispanic Conference. 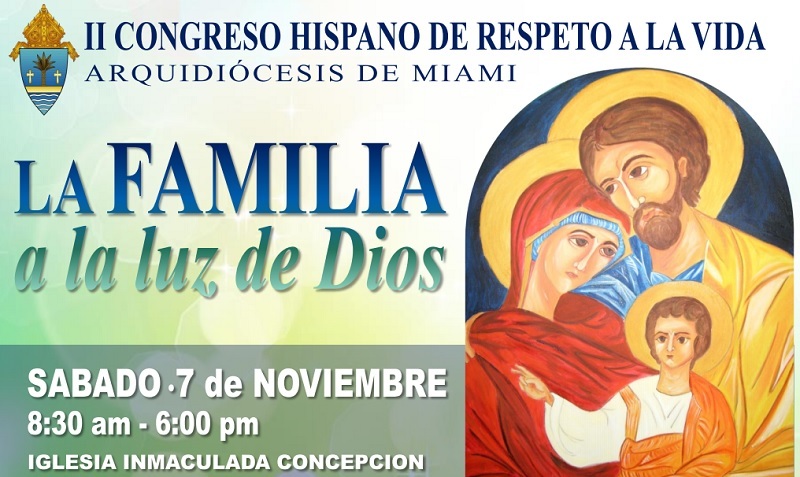 This is the first Hispanic pro-life conference to take place in the Archdiocese of Miami. The location – Immaculate Conception Catholic Church – was no coincidence: Hialeah is the city with the highest number of abortions in the State of Florida, and the Catholic pro-life efforts in its territory are still limited. Featuring an impressive panel of speakers, the Conference covered topics such as: “Christian Matrimony: God’s master plan”, “The truth on abortion”, “Recovery after abortion”, “The ethical care of human life from conception to natural death”, “Moral medical methods for the treatment of infertility”, “Spiritual and practical support for couples suffering infertility”, and “Plan of action for the family”. 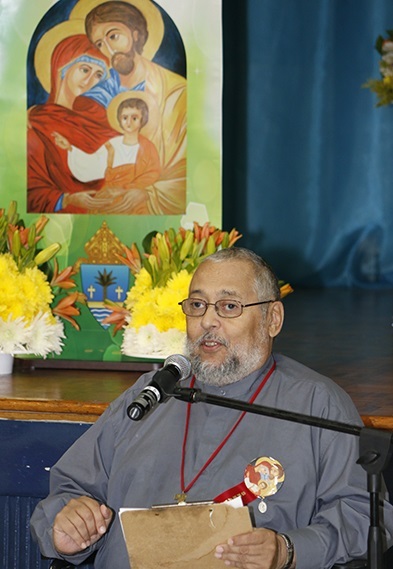 One of the talks was titled: “Project Joseph – for fathers”. 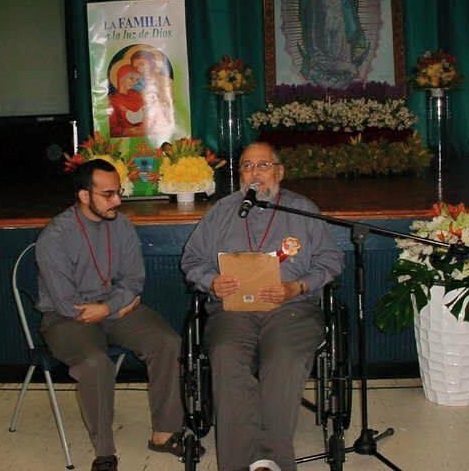 This was the first time that we presented in Spanish the work carried out in Project Joseph – a joint effort between the Franciscans of Life and Respect Life Ministry Archdiocese of Miami to serve fathers in unexpected pregnancies. The talk was delivered by our Father Superior, Br. Jay, who founded the program 6 years ago and currently directs it. He was accompanied by Br. Bernardo, Project Joseph mentor at the North Dade Pregnancy Help Center. The talk – which we will feature in an upcoming article – began by describing how Project Joseph is relevant to the Ibero-American culture, in which too often women, and particularly mothers, are treated as if they were servants or nannies, rather than with the respect they deserve. This leads to the development of dysfunctional environments. As a consequence, there are many situations in which few rights are recognized to the women but many burdens are imposed on her if she becomes a mother, while the father on the other hand retains many rights and few responsibilities. On this note, the origin of Project Joseph were described. “Don’t let me catch you talking badly about my Project Joseph dads!”, admonished Br. Jay. “These men are good people. Project Joseph offers them the opportunity to mature and grow as men and as fathers.” Over 200 fathers have participated and become mature men, responsible and prepared to face the challenges of life. Br. Jay mentioned that the success of the Project is due to the intercession of St. Joseph, patron of all fathers. His role in the Holy Family, described in a few examples, shows why it is so important to help these men walk in the footsteps of St. Joseph. The Franciscan charism is also behind the success of Project Joseph, a charism that originates in the Seraphic Father and finds worthy example in the martyr St. Maximilian Kolbe, patron of the pro-life movement. It was a beautiful, well organized, well attended event. We were glad to be there and have a table set aside for us to raise awareness of the work carried out by the FFV. Our apostolate to the preborn children and their parents has developed significantly through Project Joseph, and we are particularly interested in recruiting Hispanic or bi-lingual mentors, since many of our dads speak Spanish as their primary language. However, we also serve the chronically and terminally ill and their families and caregivers, as well as the immigrant poor – populations that are very much in need of attention as we look to “The Family in light of God”. “The theme of this conference has been “The family in light of God.” Here, in Mary, Joseph and the child Jesus, that is, in the holy family, we see reflected God’s plan for the family when there is no stain of sin. 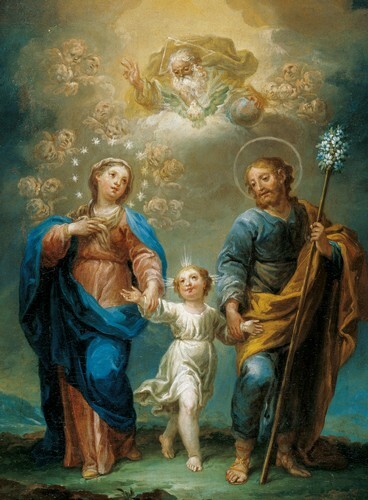 May the prayers and example of the Jesus’ parents strengthen today’s parents in their efforts to raise their children according to God’s will. In thefulfillment of His plan of salvation for mankind, God did not need the participation of Joseph to create the child Jesus. Nevertheless, God decided that the help of Joseph was indeed necessary in raising the holy child. Joseph, as chaste spouse of the Virgin Mary, played an indispensable role in the life of Jesus as his foster father. He was not an absent or indifferent father. In fact, to him was entrusted the safety and well-being of Mary and of Jesus. We see this in the episode of the flight to Egypt. We perceive this in the narration of the child lost and found in the temple of Jerusalem. We can deduce that Joseph played a crucial role in the life of Jesus before he began his public life by the fact that his fellow citizens knew him as “the son of the carpenter”. The event was featured on the Archdiocesan News. Click here to read the article, which features the Project Joseph talk. If you have any questions or comments, feel free to reach out to us! We will be glad to help you explore and discern if the Lord is inviting you to proclaim the Gospel of life with us. Who Are The Franciscans Of Life? The Franciscans of Life is a private association of Catholic laymen who are celibate, singler, or married. It is the hope of the society to become a public association of the faithful someday, maybe an institute of mixed life, where regular and secular meet. We exist with the permission and blessing of the Archbishop of Miami, the Most Reverend Thomas Wenski. Men from six countries, four language groups and three generations make up the fraternity. We attempt to replicate that brotherhood that grew up around Saint Francis of Assisi in the thirteenth century, where there were friars, nuns, married men and women, diocesan priests, widows and single people who followed the Gospel according to the Rule of Penance written by Saint Francis. Today, our fraternity is comprised of men only. There are “regular” brothers who live the evangelical counsels in private vows and “extern” brothers who live the evangelical counsels as single or married men. The Franciscans of Life make a covenant to live the Gospel according to the Rule of Penance and the constitutions of the society. Every brother, celibate, single, or married is a full member of the fraternity. Therefore, each one binds himself to observe obedience to the Church and the superior of the fraternity, to live a life of detachment from material things and temporal honors, and to persevere in chastity in the celibate, single, or married life. While all of the brothers in Franciscans of Life are lay and secular, we use the term “extern” to identify those brothers who are married or single and hoping to marry, and the term “regular” to identify those brothers who live in community, are in private vows and are celibate. Eucharist, Liturgy of the Hours, private prayer, fasting and abstinence are the guiding lights for the brothers. Fraternity is a hallmark of Franciscan tradition. Therefore, the brothers look to Christ and the apostles and endeavor to follow that model of fraternal life and service. Common prayer, sharing, openness to each other, our families, and support for each other along the journey toward the perfection of charity are the means by which the brothers sanctify their lives and the lives of those they touch. The brothers are faithful and obedient to the Catholic Church as she speaks to us through the successor of Peter and the local bishop. The mission of the fraternity is to proclaim the Gospel of Life through service to the voiceless, in particular the preborn child and his family, the terminally ill and the elderly, the immigrant poor who feels hopeless, and the person living with disabilities. 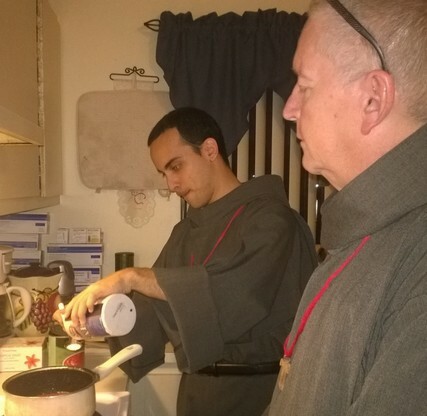 The brothers engage in a variety of apostolic activities in the Archdiocese of Miami. These include catechesis, campus ministry, Respect Life, prayer vigils at abortion mills, and serving fathers in crisis pregnancies through Project Joseph. Other apostolates are hospice and linking immigrant poor with community resources. The invisible dimension of the brothers’ mission is a life of atonement for those who embrace the culture of death. The extern brothers live in the secular world, but are not of the world. They are husbands, fathers, and single men. The fraternity is also open to deacons and diocesan priests who have the permission of their bishop to join. These brothers hold typical jobs in the world and belong to different parishes in the Archdiocese. However, they come together with each other and the regular brothers at the weekly family meeting, liturgical functions, prayer, and apostolic activities. Those who are husbands and fathers include their spouses and children in as many of the fraternal activities as possible. In this way, the Franciscan spirit is carried into the family and the family is embraced by the fraternity. The extern brothers and their families engage in the proclamation of the Gospel of Life through participation in activities that promote the sanctity of life. These brothers live in community under the leadership of a superior. They make private vows of obedience, poverty and chastity and are celibate for life. None of the brothers owns anything individually or in common. They rent their home, share their material resources, and work to provide for their material needs as prescribed by Saint Francis in his Testament. When the income is not enough, the brothers beg as did the early Franciscans. The daily life of these brothers is comprised of prayer, apostolic service to the voiceless, study, and labor that generates enough income to support the brothers and their work for the poor. Under the guidance and encouragement of a superior also known as a guardian, the brothers strive to live as a family where brother serves brother as Christ served the apostles when he washed their feet at the Last Supper. These brothers spend a great deal of time together at prayer, work, ministry, study, recreation and rest. Like Saint Francis and the first generation Franciscans, the Franciscans of Life look to the Trinity for guidance and example in community, intimacy, love, unity and holiness. 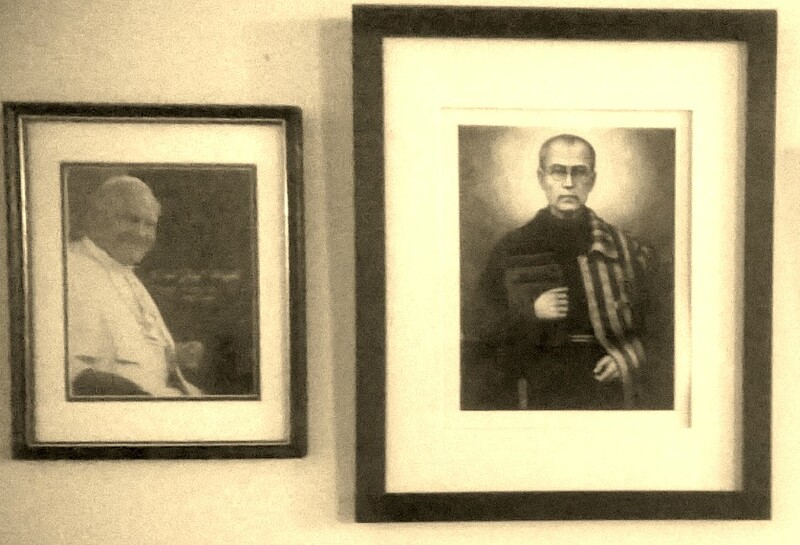 Saint Maximilian Kolbe and Saint John Paul II are the patrons of the Franciscans of Life. From these saints we learn to live under the mantle of the Immaculate and to protect the sanctity of life from conception to death.